Editor’s note: Maria’s essay is the winner from December 2017’s Matabungkay Memories essay writing contest. The contest was part of Matabungkay’s 35th year anniversary celebration. The author, Maria Sauer, 3rd from left, visited Matabungkay last New Year's eve with her family. My name is Maria Luise Sauer or Mausi Wohlfarth back when my family used to visit the resort almost every other weekend when I was a young child. It is hard to capture my best visit ever because all of them were very memorable. 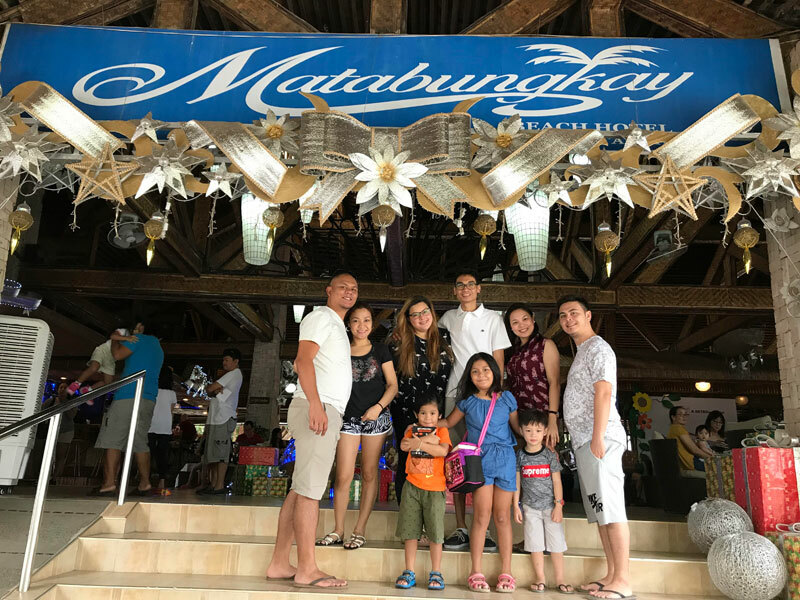 I cannot seem to find the paper but my father, Hartmut Wohlfarth, is or was a shareholder for Matabungkay Beach Club (Editor: in the 1980s, Matabungkay Beach Club was the resort’s name) so we were there quite often. I am turning 35 years old myself next month, this means my father and mother were visiting your resort even before I was born. But let’s start with the ones that I can recall. I especially loved the pool. 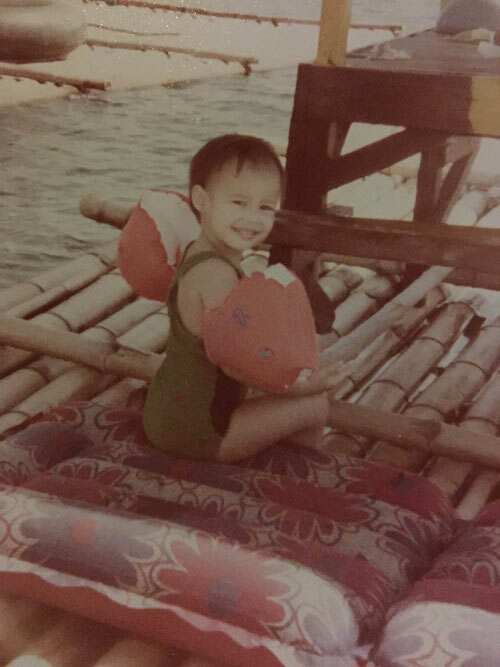 I could dive from one end to another without taking a single breath, I learned how to swim without floaters when I was just two-years-old and it always amazed people to see such a young girl gliding through the water without any fear. Floaters were reserved for the ocean since I needed them for snorkeling. The little pagoda next to the stairs to the pool was the one my ate, kuya and I would always occupy. There was a huge buko tree right next to it and the beach not far from it as you can see and hear the ocean waves from that tiny little hut. After breakfast, we rented a “balsa” (bamboo raft) which is common and most known in Matabungkay and spent the day by the reef, swimming and snorkeling, and of course playing with some of the presents our parents gave us. Even looking at those pictures today, thirty years later…the memory is as vivid as it had just been yesterday. I was 4 but for some reason I felt like I was a cool kid because every staff member knew us since we visited very frequently. 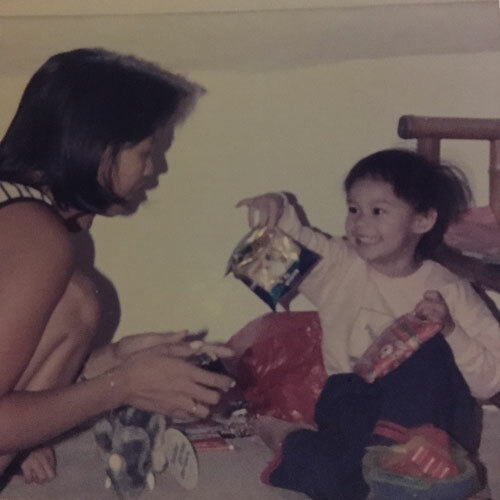 We would order our fresh buko (literally someone from the staff would climb up that buko tree to get the buko we would then eat) and our Sundays were spent with the flavors that is the ultimate trifecta for kids – vanilla, chocolate and strawberry. It was always a struggle for our parents to get us to finally get dressed for dinner. When we would have dinner, I would never be able to take my eyes of the big blue marlin sculpture that was hanging by the wall. My parents used to scare me that if I wouldn’t behave, that pointy needle nose would come to haunt me while I was sleeping. Needless to say, I was afraid of that marlin more than I had been of sharks. Christmas Eve was super fun for us kids…the staff had allowed us to go to the disco – the one located behind the pool area. The staff made us feel really cool. I do not recall there being too many people but I also think they made an exception by letting us little ones go in there. They made us non-alcoholic cocktails with matching pineapple slices, toothpick umbrellas and maraschino cherries in our beverages – and yes we even had “pulutan” (bar snacks) like calamares and cheese sticks! Our parents were happy as they had their peace and quiet by the bar while us kids were entertained inside the disco. I think we may have almost forgotten it was supposed to be Christmas…the next morning was special. Our mom woke us up from our “hangover” since we stayed out way past our usual bedtime the night before. We did not have Christmas socks, so mom had put some of our treats in our sneakers instead. Mom hid some of our presents in the closet, bathroom, and in the balcony because “Santa had to, or else we would have woken up”. It was a scavenger hunt inside the hotel room and of course, it was exciting for us kids to have to search for our gifts. After unwrapping our presents, we went out to the beach for a stroll. At 6 am, it was low tide so you could walk on the reef for what it seems to be kilometers on end. That was our morning stroll every day when visiting the resort. It was very thrilling as we could see starfish, sea urchins, and sometimes, eels and baby octopus in the crevices of the reef. After breakfast, we rented a “balsa” (bamboo raft) which is common and most known in Matabungkay and spent the day by the reef, swimming and snorkeling, and of course playing with some of the presents our parents gave us. Even looking at those pictures today, thirty years later…the memory is as vivid as it had just been yesterday. 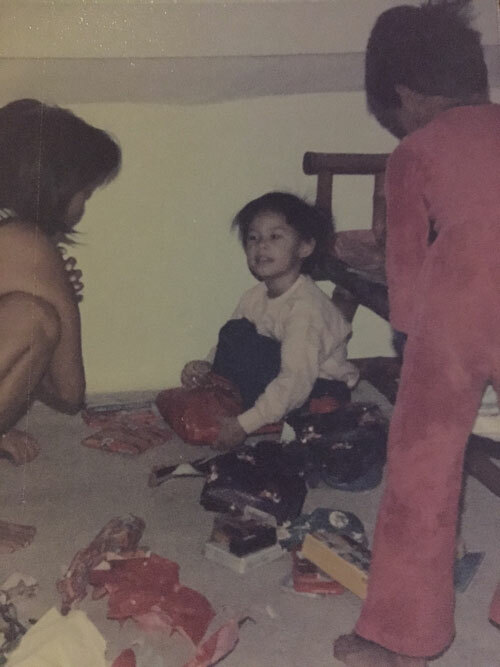 "It was a scavenger hunt inside the hotel room and of course, it was exciting for us kids to have to search for our gifts. After unwrapping our presents, we went out to the beach for a stroll." I am now a proud auntie to three kids. This year I recommended to my parents to spend Christmas in Matabungkay. I am going to get in touch with you for that. Hopefully you can help us recreate those beautiful memories and share them with the next generation so they can have the same wonderful experience as we did 30 years ago.